JJC EN-DK25 eyecup is a replacement eyepiece for select NIKON digital cameras. It allows for more comfortable viewing through the camera's viewfinder. It also decreases the amount of stray light that may enter the viewfinder and cause flare. 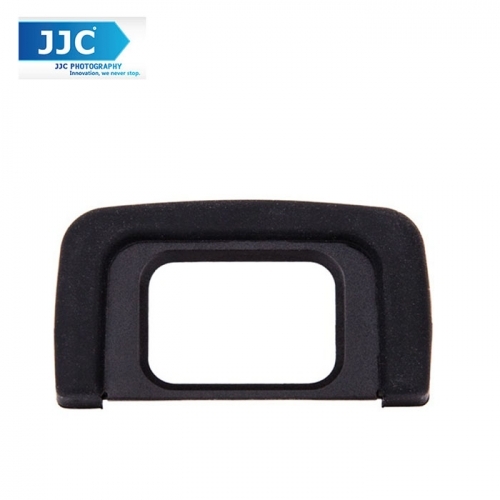 JJC EN-DK25 eyecup is made of soft and durable silicone, so it also prevents scratching and damage to eyeglasses. It mounts easily and securely to the viewfinder and is compatible with select NIKON cameras. JJC EN-DK25 eyecup replaces NIKON DK-25 eyecup.